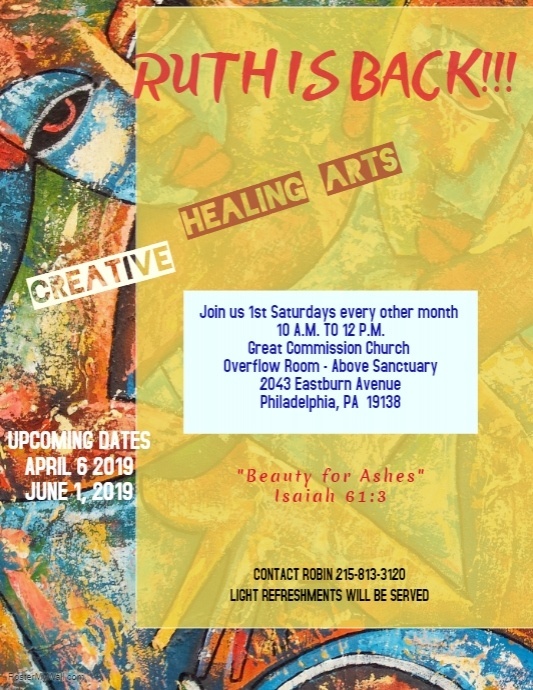 All women are welcome to join GCC RUTH Ministry through creative healing. We will be meeting the first Saturday of every month. Our first meeting will be held on Saturday, April 6th 10:00AM-12:00PM at Great Commission Church, 2043 Eastburn Avenue, Philadelphia, PA 19138. Light refreshments will be served. 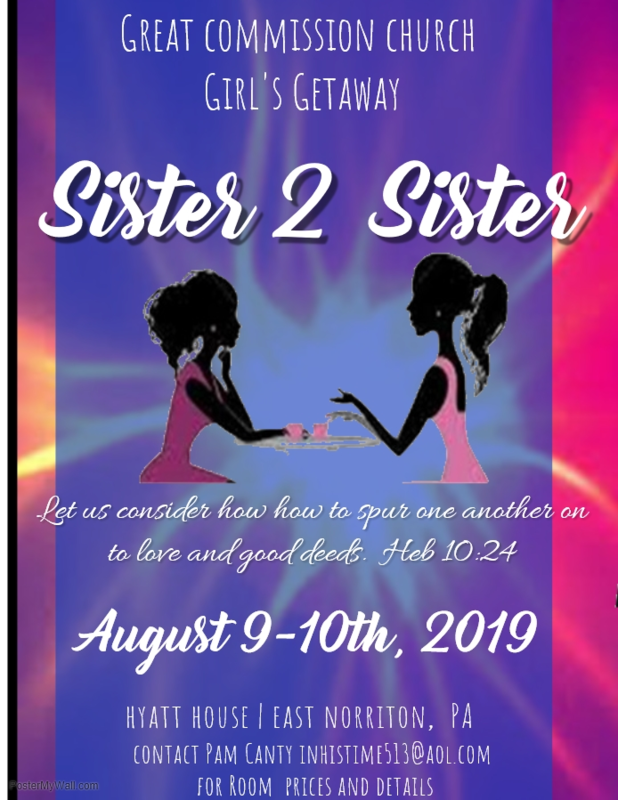 For more details please contact Robin 215-813-3120. More details will be coming, we have an amazing speaker lined up…stay tuned! !